Yesterday we went to a concert arranged by one of our placement companies and one of our candidates. It was great to see all of you there. Thank you for coming and thank you for pulling it off for us! The concert took place in Fox Cabaret on Main street. Fox Cabaret is a venue like you have never seen before. There are a lot of lights in and outside the venue. This also creates a different kind of vibe than you are used to having at your usual concert venue. The venue is quite small, which creates a very cosy feeling. Like all concert fans know, it is normally a bit hard to get close to the artists. This was not the case at Fox Cabaret. The stage is low and it is therefore easy to get close to the artist. They definitely do not host any mainstream artists, so if you are done with all this mainstream pop music, Fox Cabaret is certainly the place to be! Even the drinks are not normal in this venue. They serve beers in cans, which gives you a casual feeling. Therefore, it is also easier to feel at ease while attending an event at Fox Cabaret. Fox Cabaret hosts different kind of events such as comedy nights, concerts and parties. Definitely worth to check out! At first we started off with Luke Wallace. His music is based on conversation and environmental action, which is placed in the genre ‘folktivism’. He has worked with several native communities and uses this experience as an inspiration for his music. Luke Wallace has a very gentle voice, which he combines with several instruments. Together with his guitar, he will make you fall in love easily. There was lots of space in front of the stage, so we decided to go to the stage and dance to his music. After some warming up it was time for the main performance, Parsonsfield. Everybody had been saying they play folk music, but we still did not really know what to expect. Parsonsfield is not a typical kind of band and therefore a very good fit for Fox Cabaret, as they never have mainstream bands. Even though Luke Wallace’s music is from the same genre, both artists were very different and therefore we needed to take a minute to get used to this different kind of music. However, it did not take long before we all went to the stage again to dance the night away. The band uses all kind of different instruments and uses it in a way that you would not expect. They even used saws to make music. Going to Parsonsfield was an amazing experience and we were all really glad that we were able to have this experience. Thank you, Vancouver Folk Music Festival Society for arranging this great evening for us! Hopefully you all had a great experience yesterday! Tonight it is time to share your hockey knowledge during the Junior Hockey Game. See you tonight or at next PuB NiGHT! 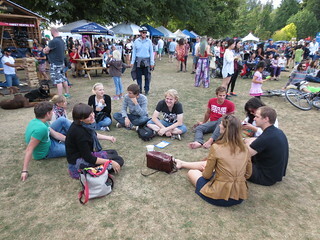 KitsFest is a sports and healthy living community festival. It takes places from fri – sun and its for everybody. 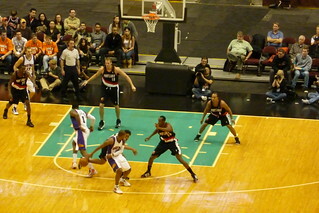 You can either go there and register a team for basketball, volleyball etc., experience some great yoga classes or just watch and cheer for the teams of the tournaments. Even though this whole weekend festival is located in Squamish, you don’t have to worry about how to get there. There will be a shuttle bus driving you from Vancouver to and from the Squamish Festival. The tickets for this event are kind of expensive, a day pass if $149 (+fees) and a weekend pass 325 (+fees) but there are acts like Eminem, Bruno Mars, Nas, Arctic Monkey and many many more. So check out their line-up and maybe you’ll decide it will be worth spending this money. On saturday Stanley park will host the 8th annual waterfight at 1.00pm at Lumberman’s Arch. Bring waterbaloons or a water gun and be part of the largest watertight of Vancouver. This festival takes places every week and this week on sunday there will again be more than 20 food trucks you can get some great food from. It’s only $2 entry and even for free if you bring a donation for the food bank. 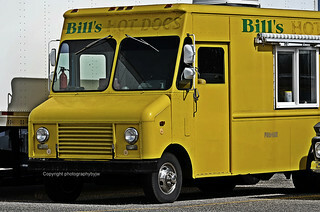 This week the Food Cart Festival will also be on saturday for the first time. On saturday you can find it at the Holland Park in Surrey and on sunday at the Olympic Village in Vancouver. We hope you guys all have fun on you weekend and a great start in the new week! Our weekend was pretty amazing! 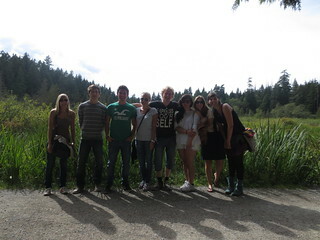 I don’t know you guys, but we spent a very nice evening in Stanley Park the last Saturday. As you maybe know, this weekend was the Stanley Park 125th Anniversary. So we decided to go there to take a look. So many activities were organized in the park! Fortunately, the weather was amazing and we could enjoy the beautiful park more than ever. I went there so many times but I have to say that it was definitely the better one. The entire place was full of people and you could find interesting things to visit everywhere! The first thing that we saw was the Vintage Car Display just next to Lost Lagoon. I’ve never been interested in cars, but here in Vancouver I’ve become a fan. There are so many beautiful vintage cars! I’m so jealous about the people who can afford that. Then we visited the Rose Garden, where we could see a group of children making a Shakespeare show. Then we almost made a walk tour (there were like three different tours at the same time), but finally we decided to go to Beaver Lake. It’s such a beautiful place. It’s a little bit hidden; so many people usually skip it. But definitely is a must-to-go inside Stanley Park. It’s completely full of vegetation, and surrounded by trees. Talking about beavers, we continued our route through the park and we found a place with many stuffed animals, in the ecological center. We saw an enormous stuffed beaver called Rob. 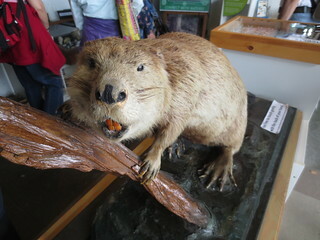 The guide told us that it was one of the biggest beavers found in Canada. I’m still trying to decide if it was scared o terribly funny. And that’s was the end of the cultural part of the day. A music festival was organized in Second Beach, so we went there to have fun. It was the best part for me. We could see some people playing Giant Jenga (if you are a Big Bang Theory fan, you must to know about what I’m talking). After enjoy a couple of concerts and eat some food, we decided to go to buy an ice cream and go back home. And we have some amazing ideas for the upcoming events, so stay tuned! And of course if you want to make a suggestion about what we can do together, leave us a comment below! Almost Friday again! And we have some awesome, amazing, and fantastic plans for this weekend. 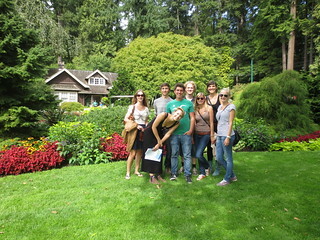 a) Stanley Park is the first must-to-visit in Vancouver. b) Did you already go there? Well, this park is HUGE, I’m sure that you didn’t visit everything! c) Even if you went there, it wasn’t the 125th anniversary. There are a million of things that we can do in Celebrate! Stanley Park: concerts, performances, walking tours, watch hummingbirds, visit the police stables, and learn all about the history of the park. There are more than 200 activities and performances in total scheduled to take place at five festival zones. Join us in the Facebook event! For over 16 years, fans have hummed, sung, and even lived the songs that bring them back, time and time again. Singer Rob Bracken invites you into the ‘kitchen’, where sights, smells, and sounds are tossed on a groove and served on a platter. Never without a house gig, always a good time. If you finally decide to stay at home, here you have some delicious music to deal with the hangover. And don’t forget the secret of the Caesar Cocktail! 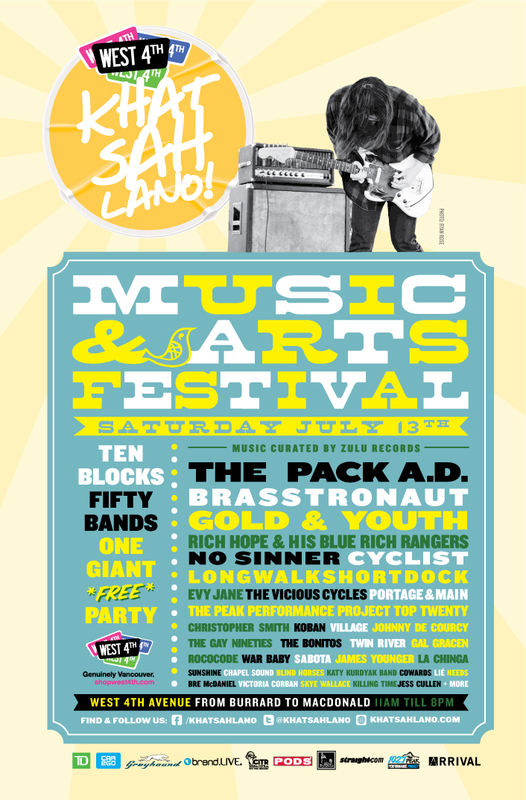 Join us this Saturday, July 13 in the Khatsahlano Music + Arts Festival! Firstly, meet in The 340 (Downtown) to drink something. It’s only $10,50 a jug of beer! 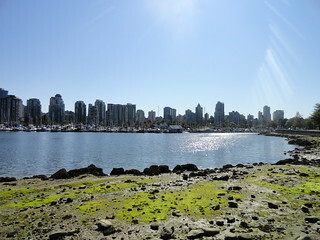 After a couple of hours we will go to Kitsiliano, to see the festival and enjoy the concerts. We have the opportunity to watch some of the best Canadians groups! Take a look to the main artists! I already told you that it’s FREE? I don’t know if you already have plans for the weekend but this is definitely better!